EverTrue requires UTF-8 encoded .CSV files. This type of encoding ensures that your data will be parsed properly. If you cannot code your export to produce a UTF-8 file, or if you do not use a database where this is offered, you can use these steps to encode the file. Open your file in Excel. Then select Save As. In the Save As Type dropdown menu, select "CSV (Comma Delimited)." Click the Tools menu and select Web Options. In the new dialog box, select the "Encoding" tab. Find the "Save this document as:" dropdown menu and select "Unicode (UTF-8)", then click OK.
Find the file on your computer and right click the file. 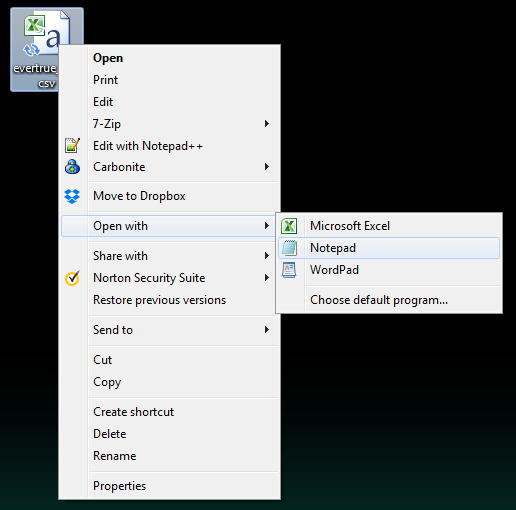 Find "Open with" in the menu and select "Notepad" to open the file. Once open, use the top menu to select Save As. In the Save As dialog box, add ".csv" to the end of the file name. 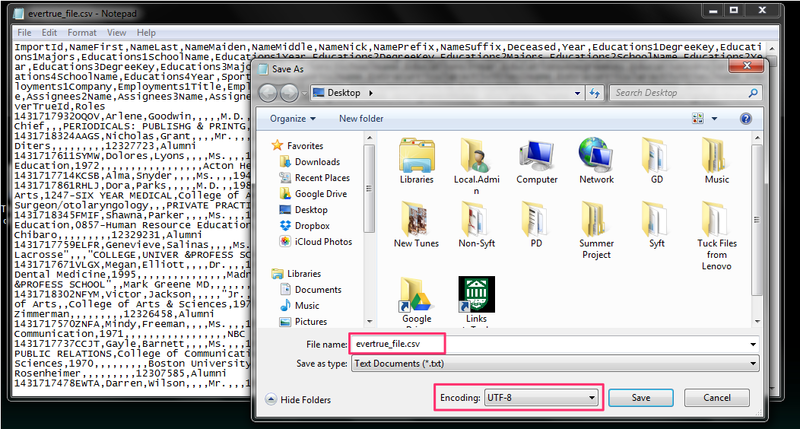 Make sure to do this in the Save As dialog box -- Do not simply rename the file in its folder. In the "Encoding" dropdown menu, select "UTF-8". Then you are ready to import your file to EverTrue's Console! 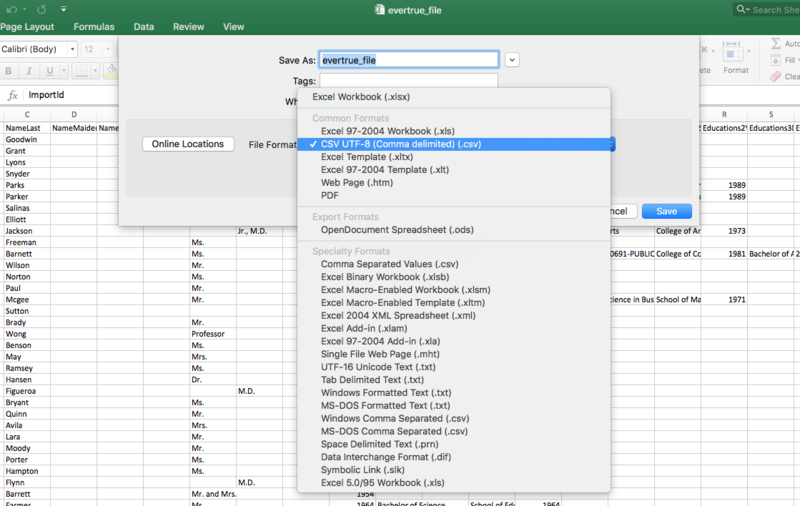 In the Save As dropdown menu, choose the File Format "CSV UTF-8 (Comma delimited) (.csv)"